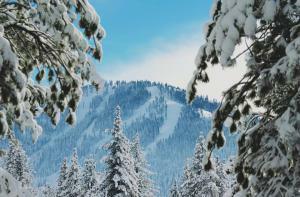 LEHI , UT, USA, February 23, 2017 /EINPresswire.com/ -- Traveler trends have given insight on North America’s favorite winter sport destinations this year, according to Reservation Counter. The leading hotel booking company successfully completes nearly 10,000 room nights every day and is known for understanding the hotel and booking preferences of travelers. For the complete list and to find the top hotels in each area, visit: www.reservationcounter.com/hotel/top-10-best-ski-destinations-2017. Reservation Counter specializes in providing travelers access to more hotel choices and ways to find the accommodations that fit their needs best. Based in Utah, Reservation Counter is part of TravelPass Group, which is becoming a vibrant marketplace with partnerships with independent and brand name hotels, wholesalers, and the largest travel agencies. It represents a combined inventory of more than 1 million properties worldwide and operates best-in-class customer service centers that help travelers 24/7. When consumers look at hotel booking sites, they often think they’re getting the best rates, but that’s not usually the case. TravelPass Group demystifies travel by taking the complexity out of booking hotels, giving consumers the best available rates. A leading technology company in the travel industry, TravelPass Group gives customers access to a hotel marketplace with over a million properties worldwide. Through its multiple websites and phone support, TravelPass Group offers customers merchant rates, agency rates, closed user group rates, and net rates. Its marketplace also empowers hotels, wholesalers, and the world's largest travel agencies to maximize distribution to reach a larger customer base more efficiently.